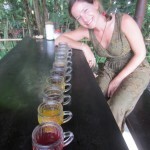 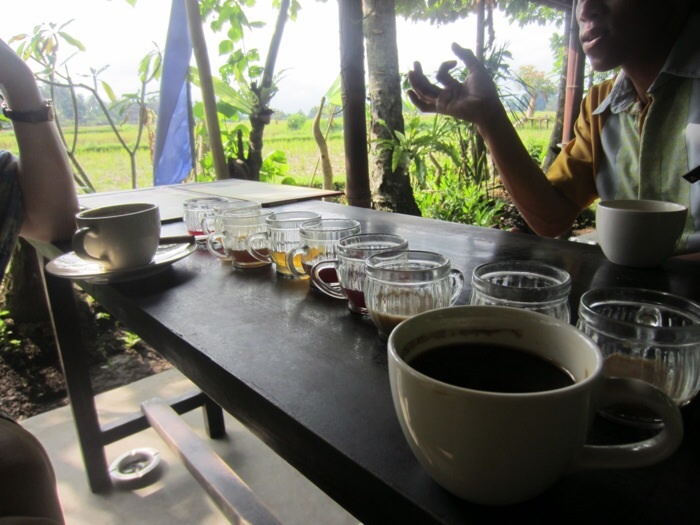 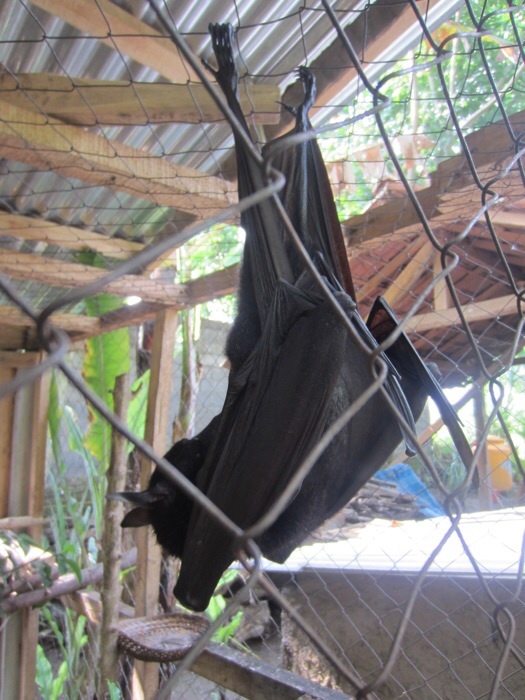 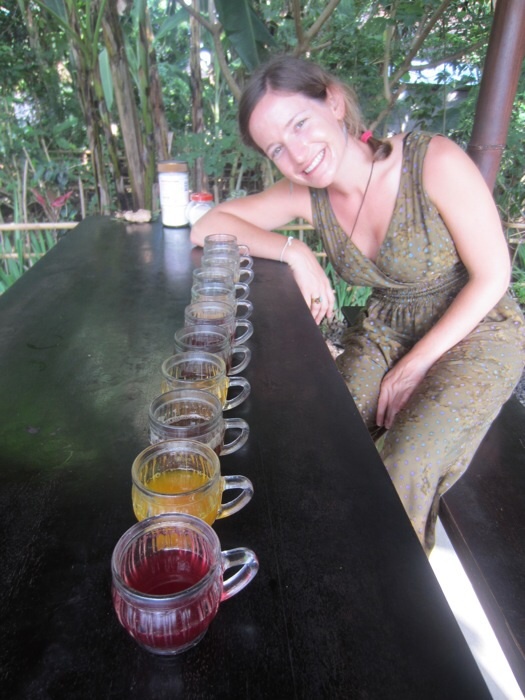 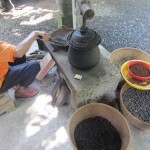 With my sister Elizabeth in Bali for a short visit, we decided to check out a few of the tourist must-do’s on the island, which naturally included the legendary cat poop coffee, or “kopi luwak” as it’s more appropriately known. 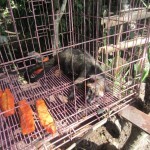 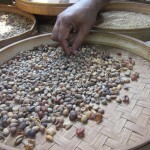 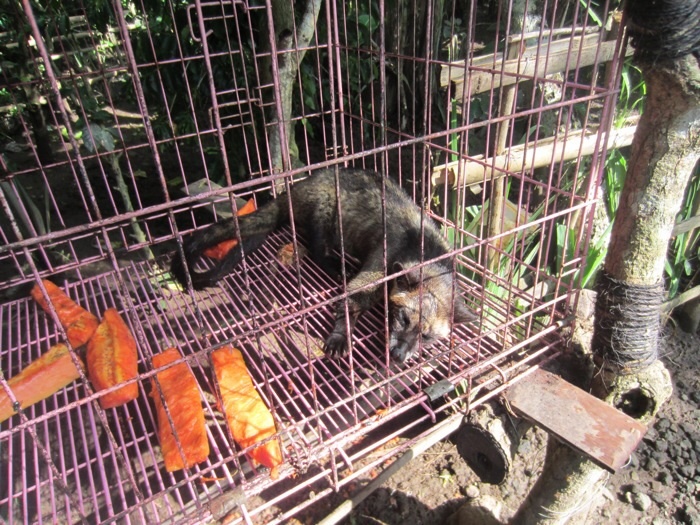 Luwak refers to the animal, the Asian palm civet, that is responsible for the coffee, eating the ripe coffee berries at night and thus producing (a nice way of saying defecating) the beans which are collected by the farmers. 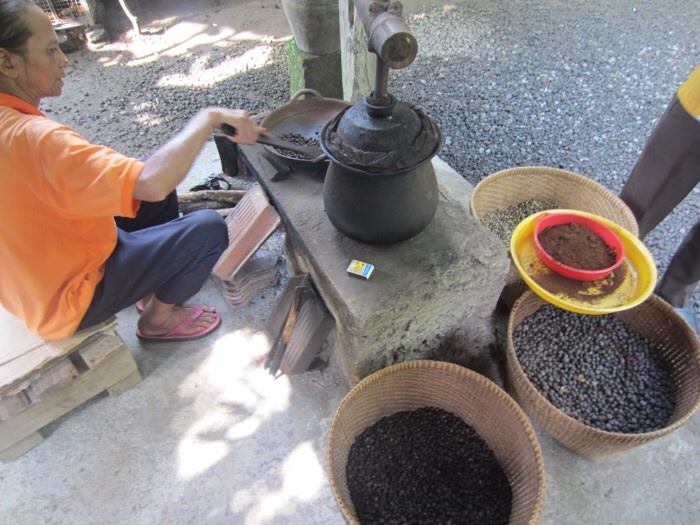 The practice originated in the early 18th century during the Dutch colonial era when the Dutch brought coffee to the island but forbade the locals from picking it for their own consumption. 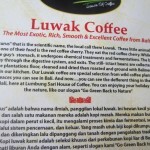 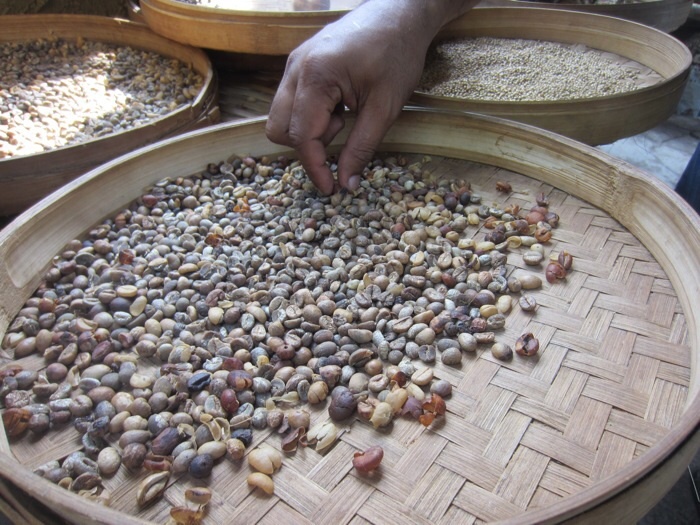 Curious to try this drink that brought so much wealth to the Dutch, the farmers sidestepped the law by collecting beans eaten by the luwak and grounding it to make their own coffee. 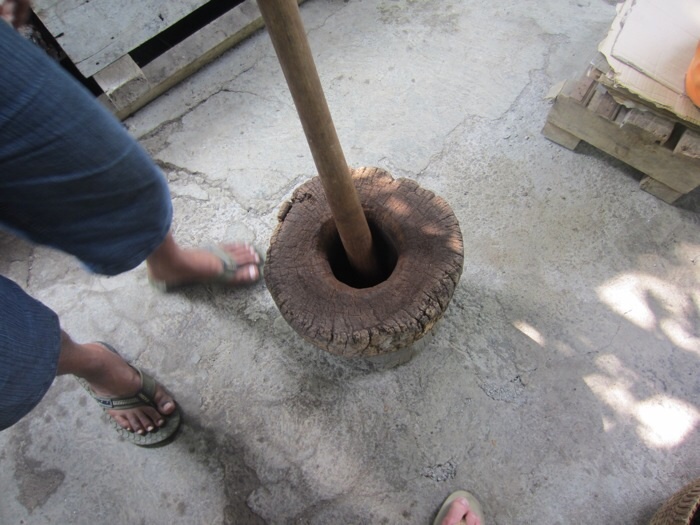 The Dutch eventually got their hands on it and liked it so much, they began exporting it as a delicacy. 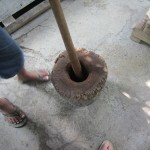 Nowadays, one kilogram can cost $700! 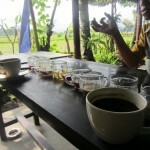 Lucky for us, one cup only cost $5. 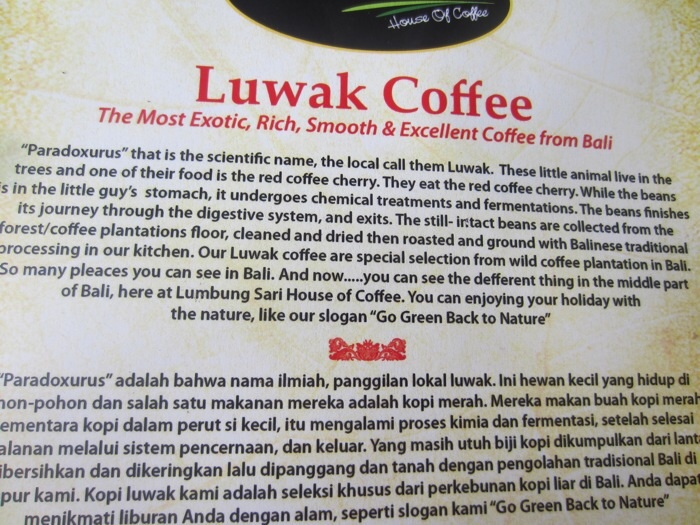 To be honest, I didn’t notice a big distinction between the kopi luwak and regular coffee, but I’m no coffee connoisseur so what do I know! 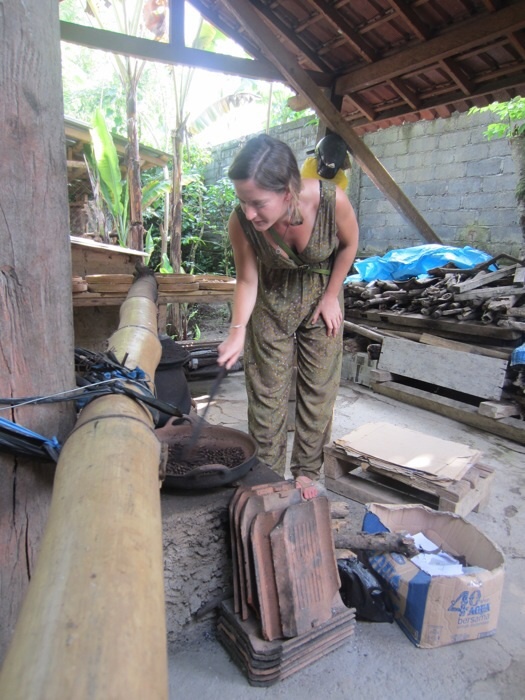 Helping to roast the poop off! 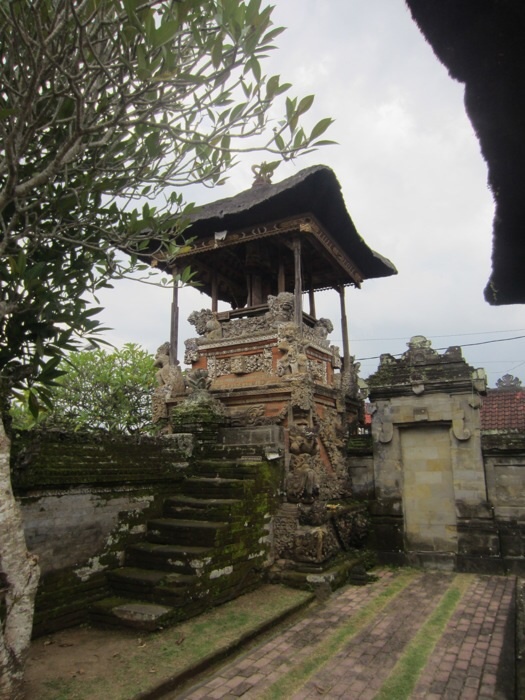 In between our coffee stop and the batik factory, we visited the Pura Puseh and Pura Desa temples in the town of Batuan, founded in “saka 944”, which is equivalent to 1022 BC. 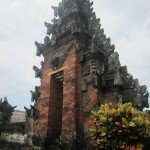 Although Indonesia has the largest Muslim population of any country in the world, the vast majority of Balinese are devout Hindus. 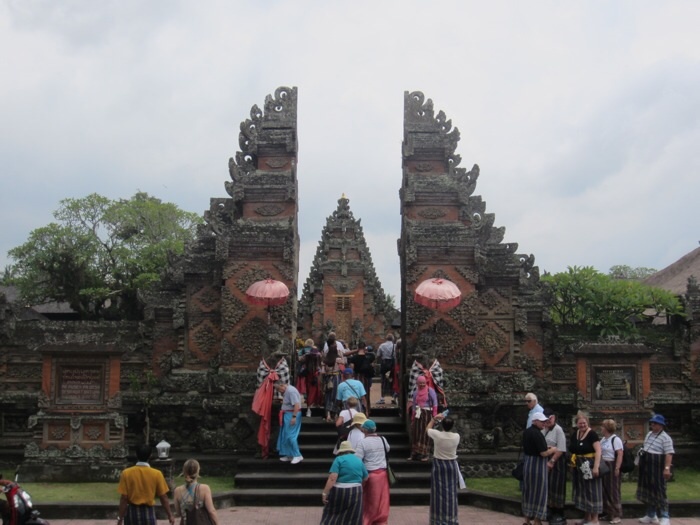 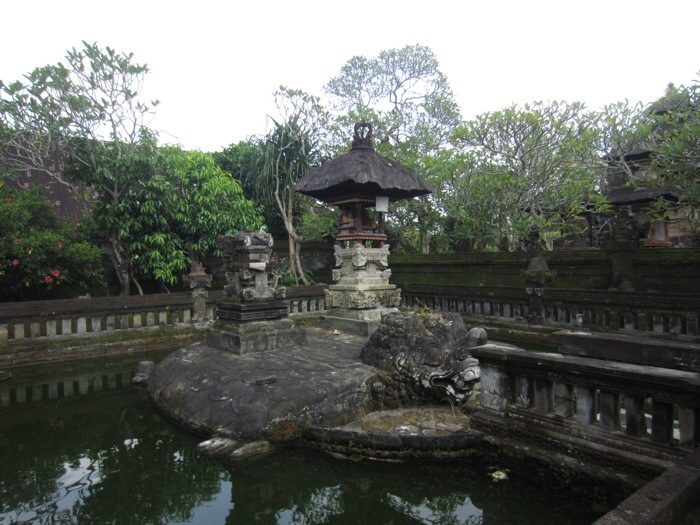 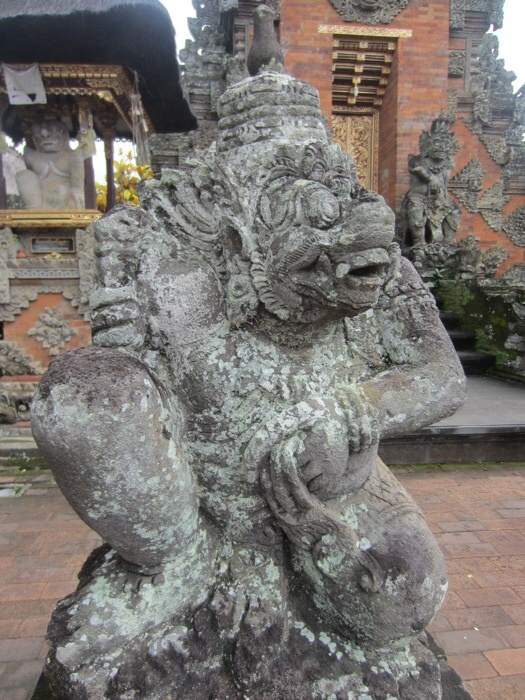 Hinduism originally traveled to Bali from India, but has evolved over the centuries to include animism, magic, and ancestor worship and eventually become its own form of “Balinese Hinduism”. 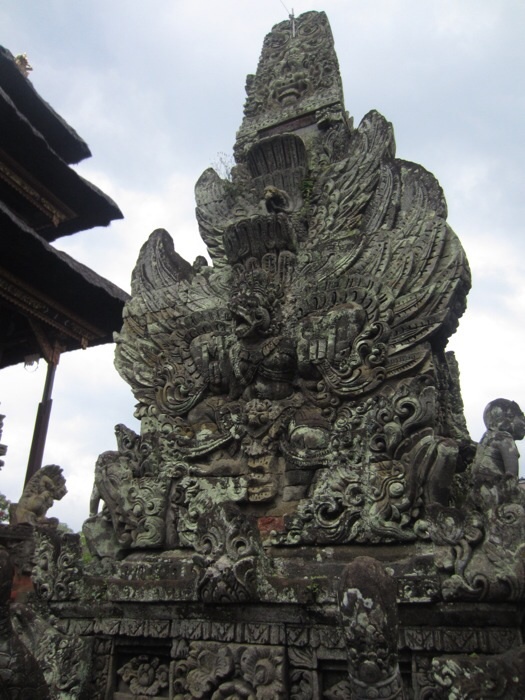 With an estimated 20,000 puras (temples) and shrines, it seems appropriate that Bali is known as the Island of a Thousand Temples. 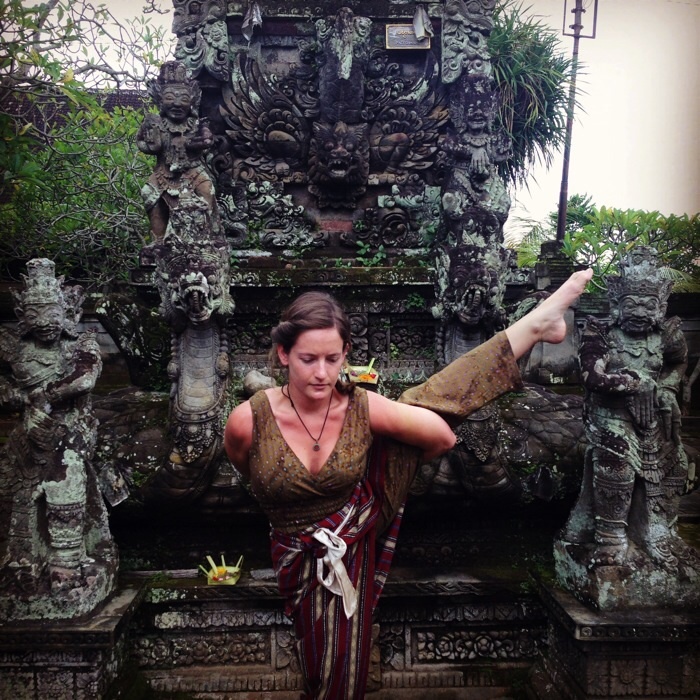 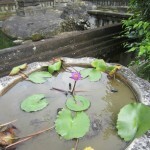 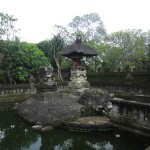 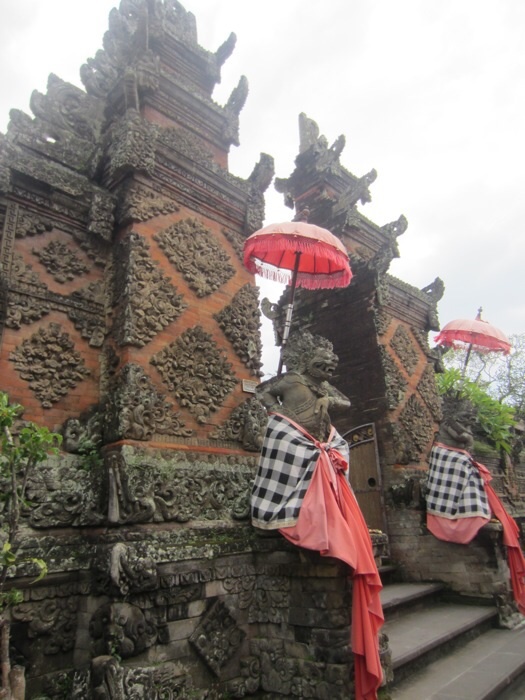 The Balinese worship countless gods and demigods, and believe that spirits are present everywhere in nature. 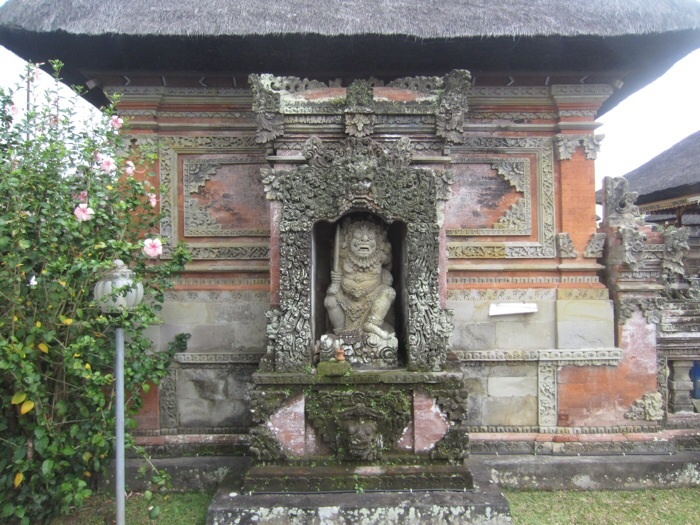 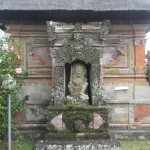 Every home has its own shrine and/or temple, and each morning an offering, called canang sari, is laid outside the front door to pay tribute to the three major Hindu gods (Vishnu, Shiva, and Brahma). 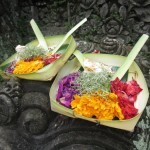 The canang sari are prepared meticulously with nuts, leaves, and flowers arranged according to navigational direction and lit with incense. 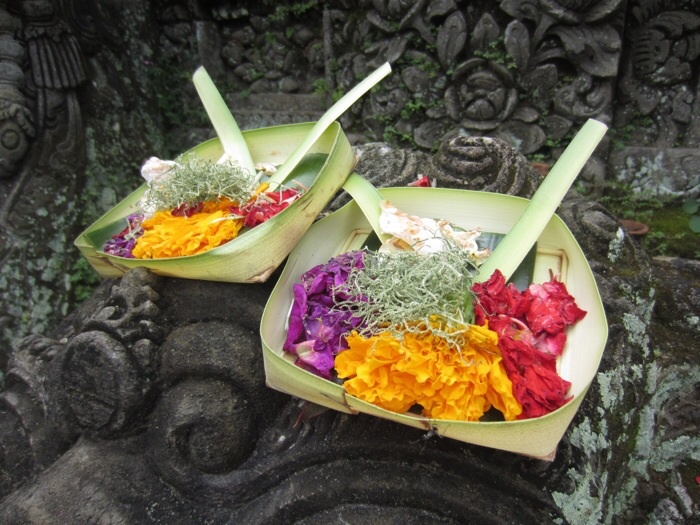 In the early morning, the smell of the offerings inundates the streets, but by midday they’re scattered across the sidewalks! 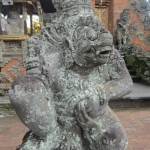 Don’t worry, it isn’t disrespectful to accidentally kick an offering, which I did many times. 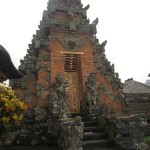 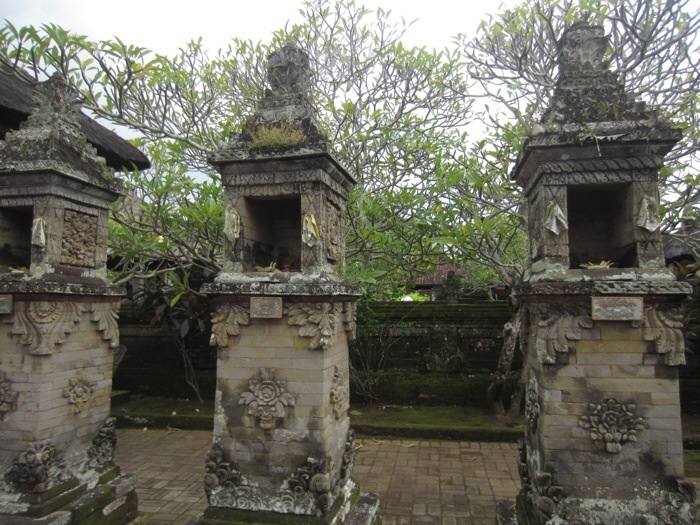 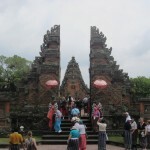 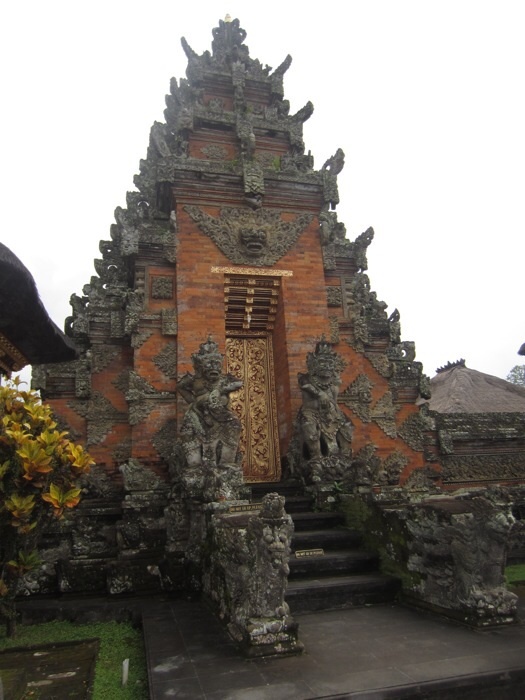 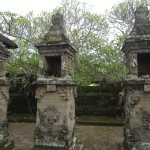 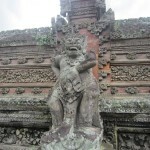 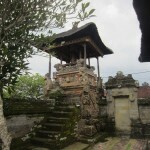 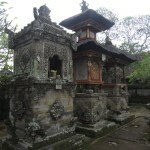 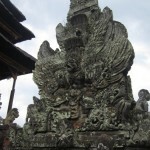 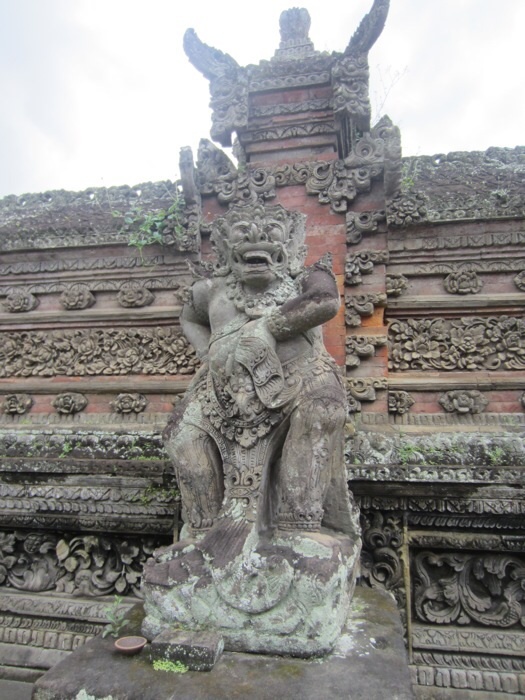 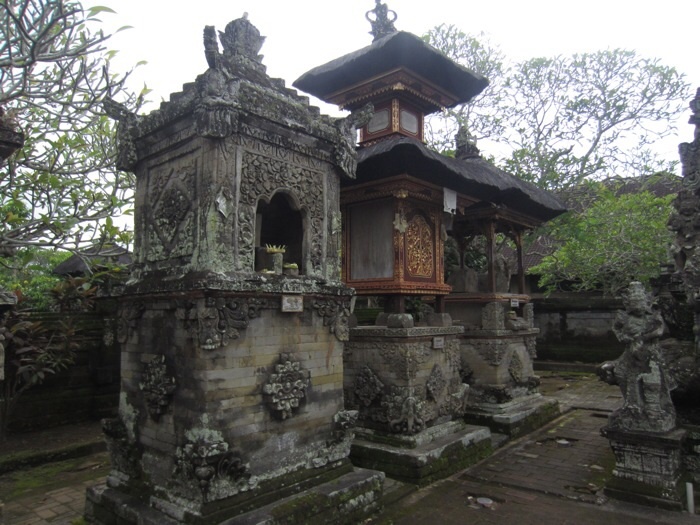 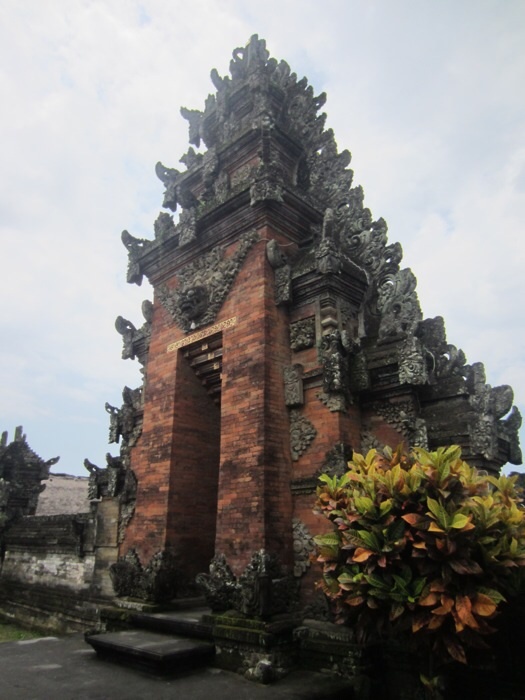 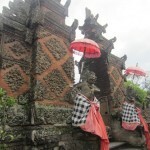 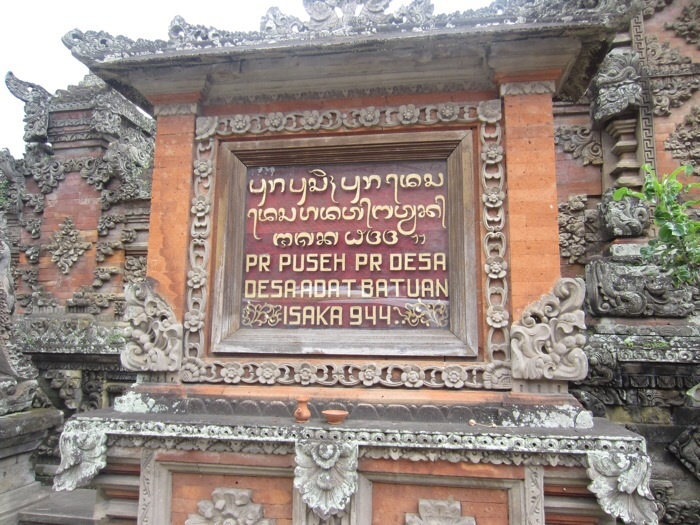 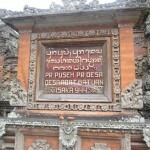 Another great use of Balinese temples? 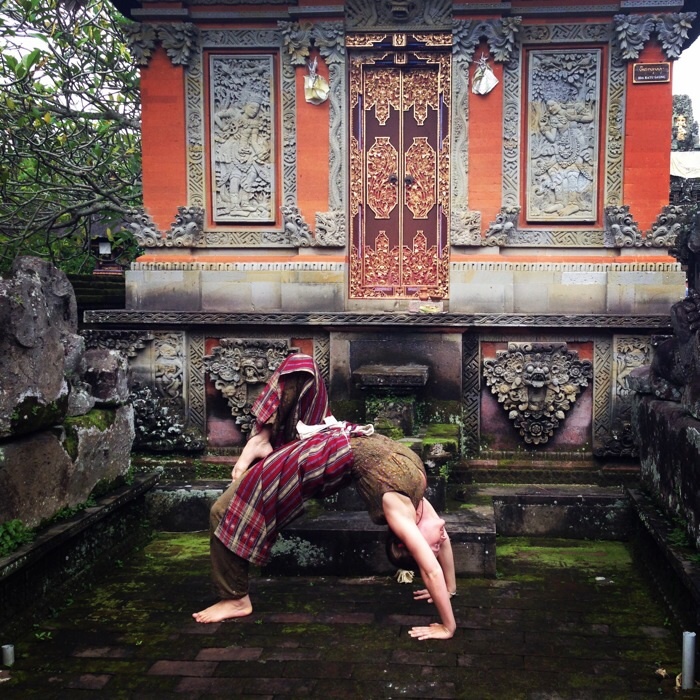 They make for a lovely backdrop for yoga poses. 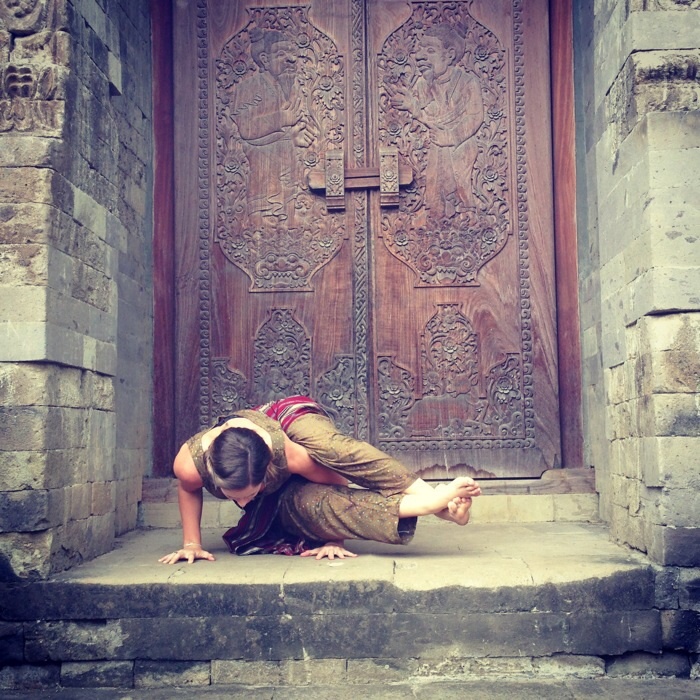 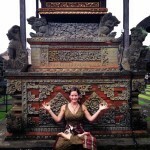 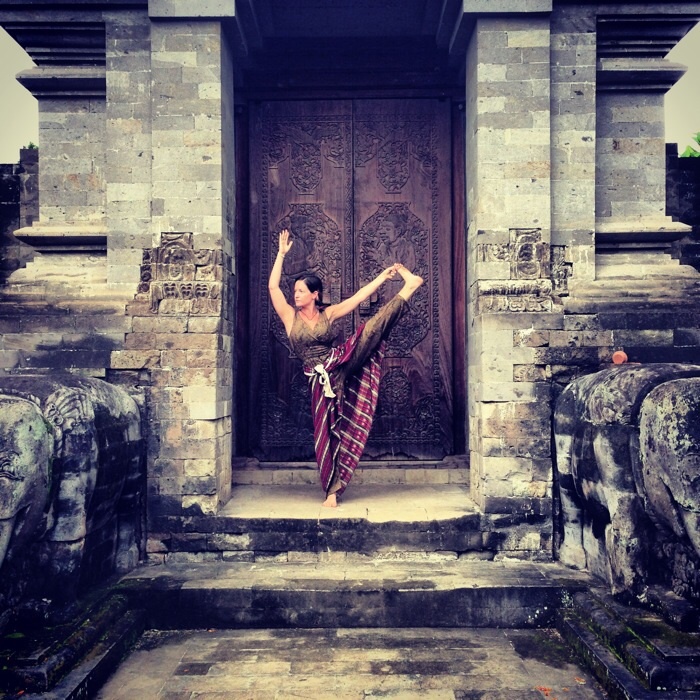 And unlike in many other religious settings, the Balinese didn’t seem to mind me playing around! 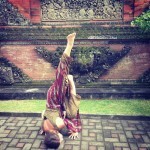 Temple yoga! 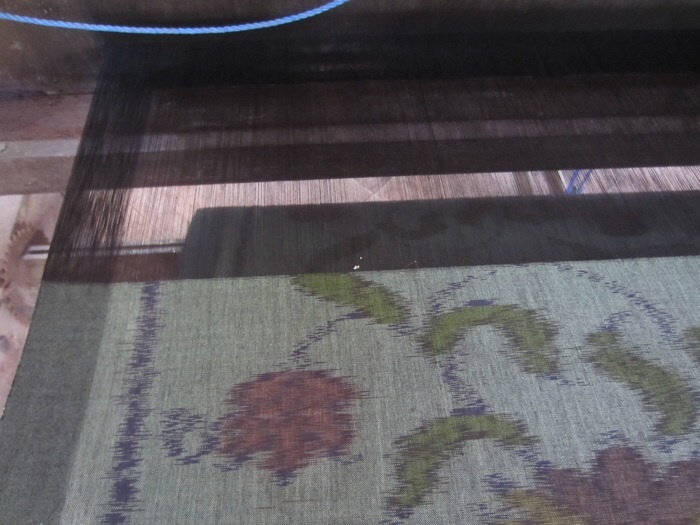 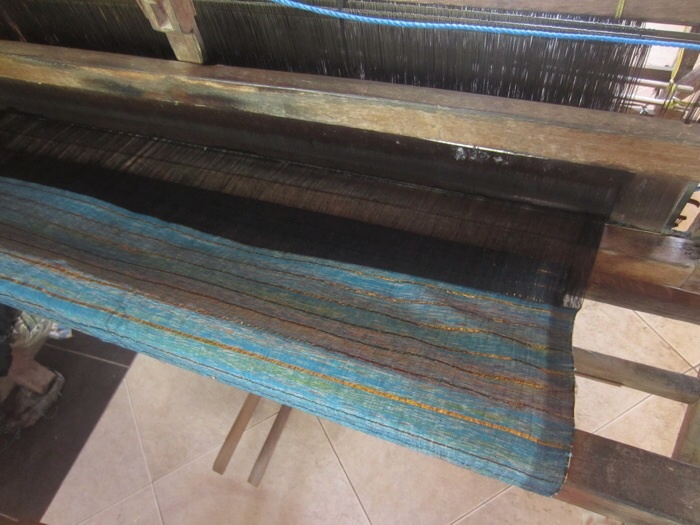 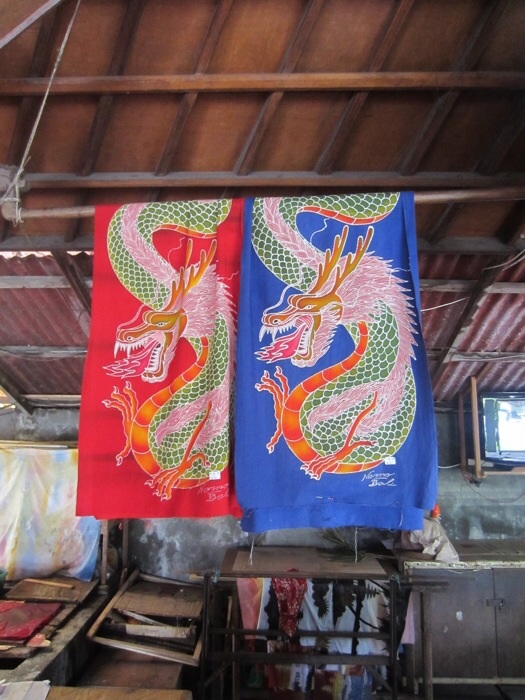 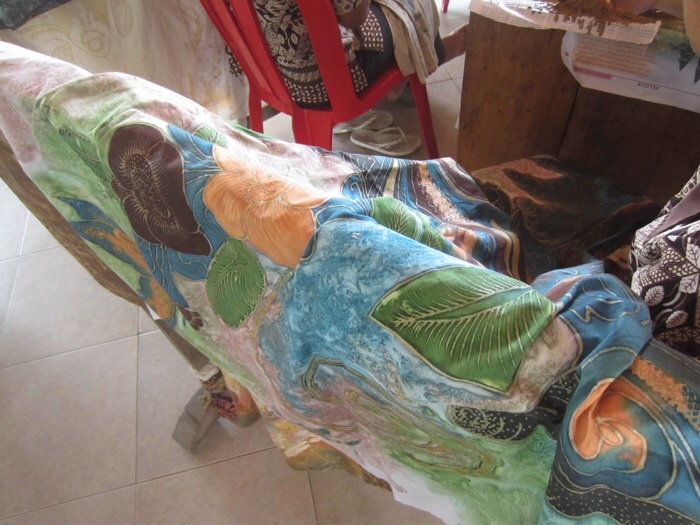 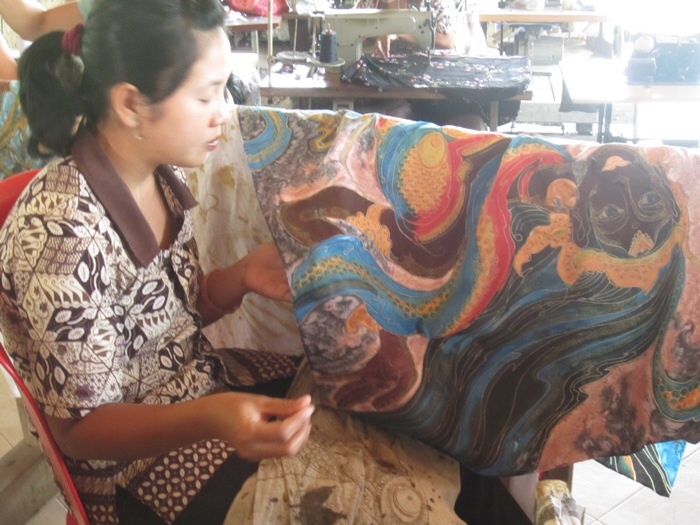 At the batik factory, which was more of an artisan’s workshop, we watched as the fabrics were sketched, waxed, and dyed to make beautiful patterns that are synonymous with island living. 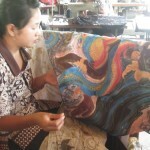 The most famous batik comes from the nearby island of Java, which started producing batik in the 6th or 7th century, although the earliest signs of batik are from Egypt in 4th century BC. 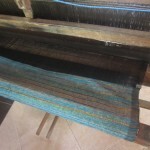 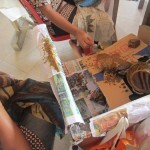 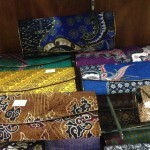 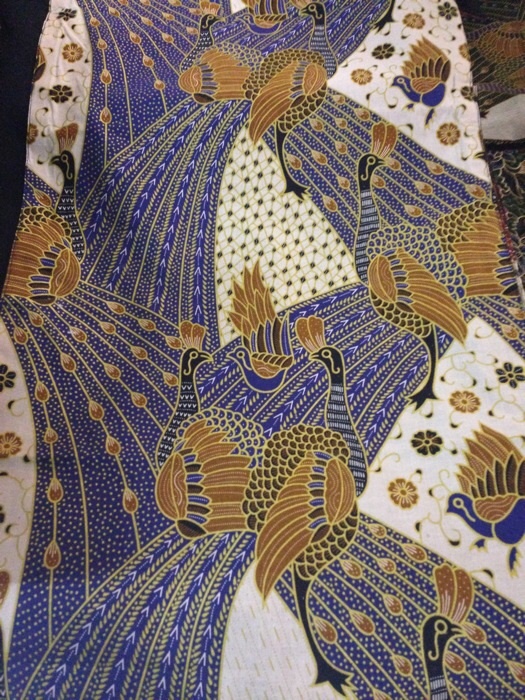 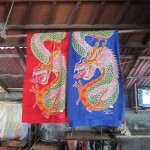 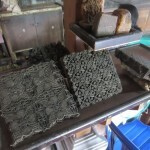 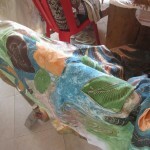 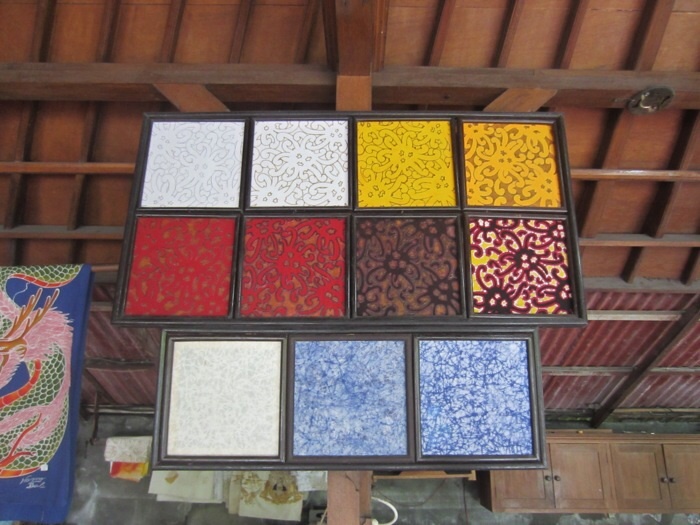 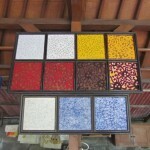 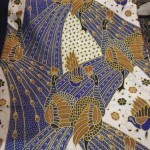 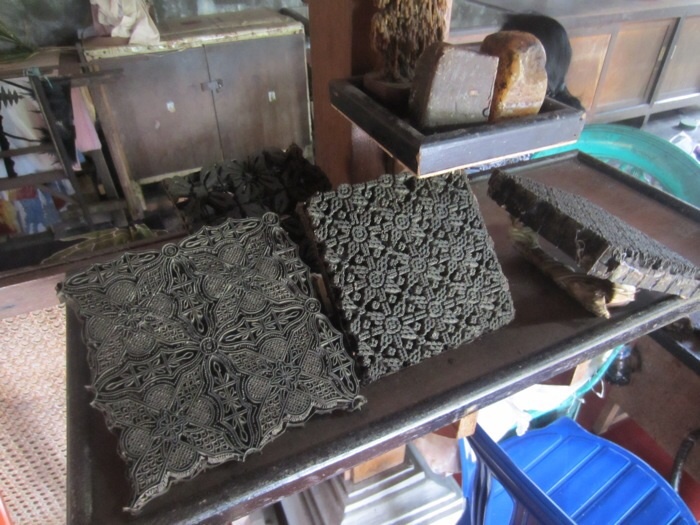 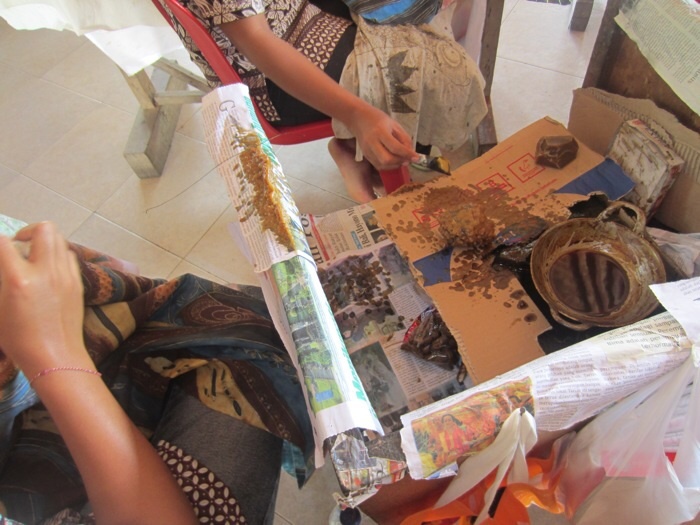 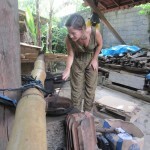 Batik is used to make shirts, dresses, sarongs, you name it! 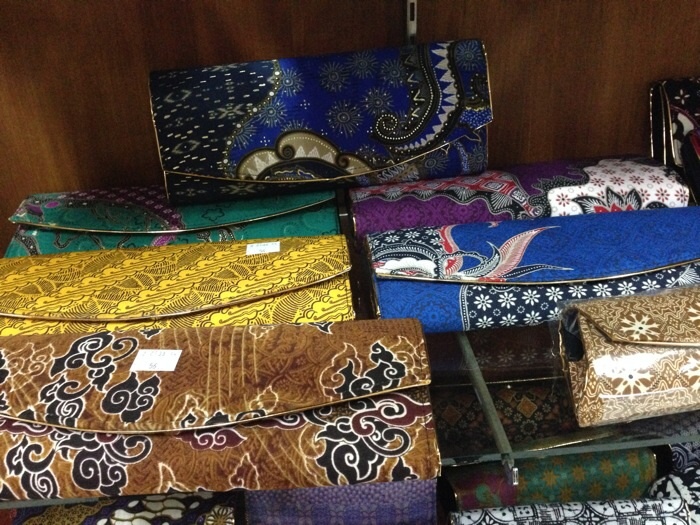 We loved browsing the beautiful patterns in the shops for outfit inspiration – I was even given a demo on how to tie the silk sarongs into multiple dress styles. 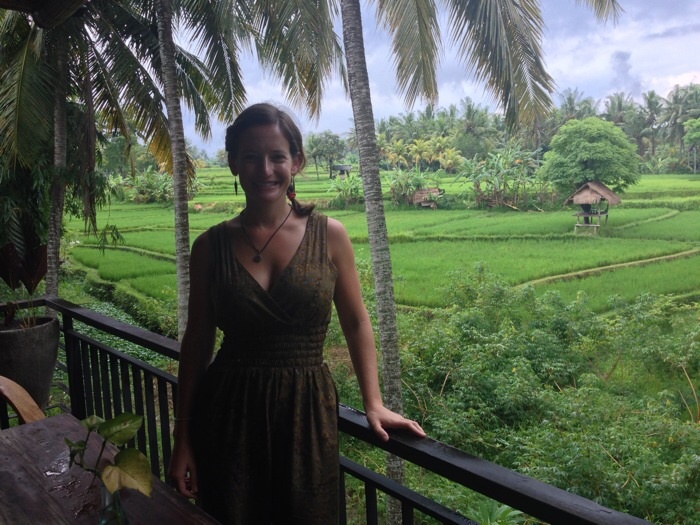 After a long morning of ogling batik and drinking questionable coffee, we grabbed a lunch of rice, satay and vegetables overlooking rice paddies. 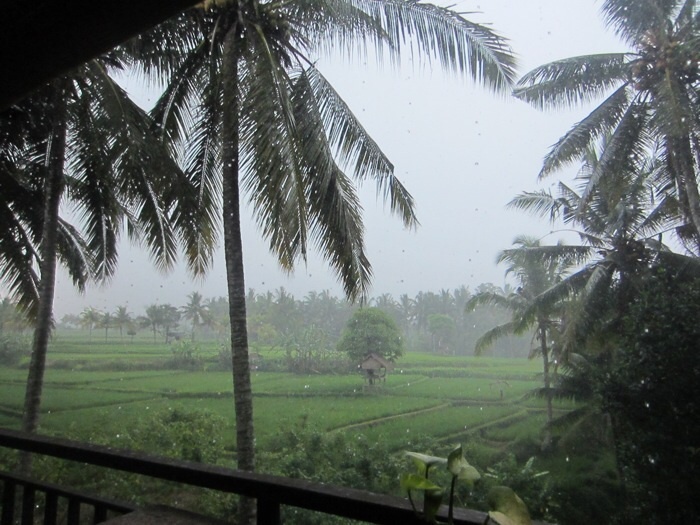 As is typical in Bali this time of year, we were able to witness some torrential downpour, but it was lovely to watch the rain-soaked rice paddies from inside a warm open-air pagoda! 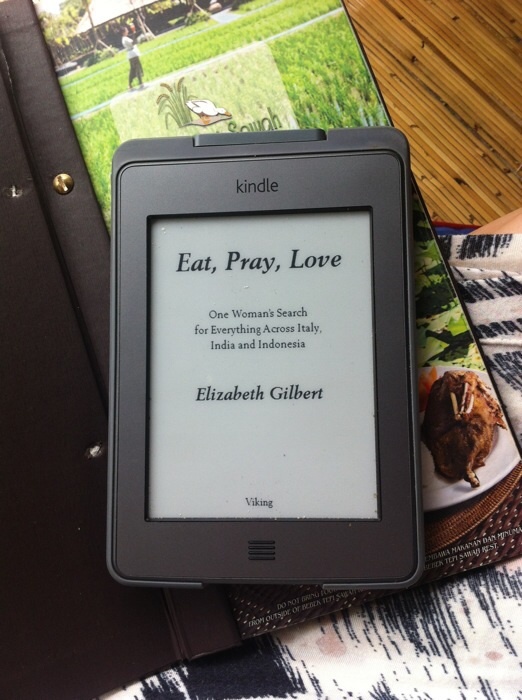 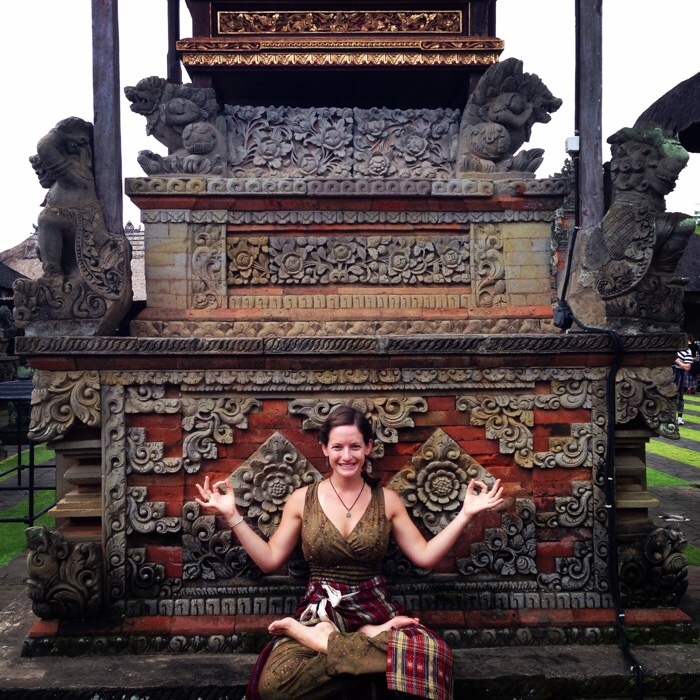 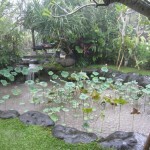 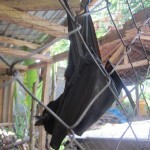 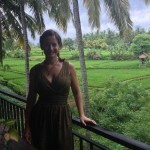 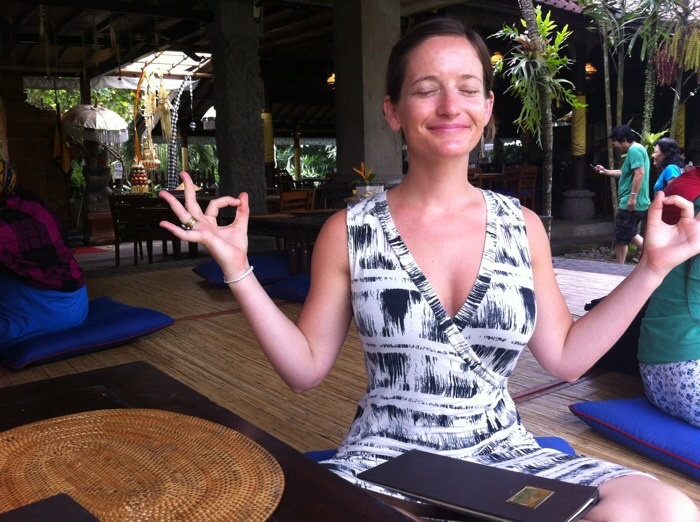 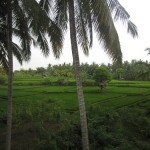 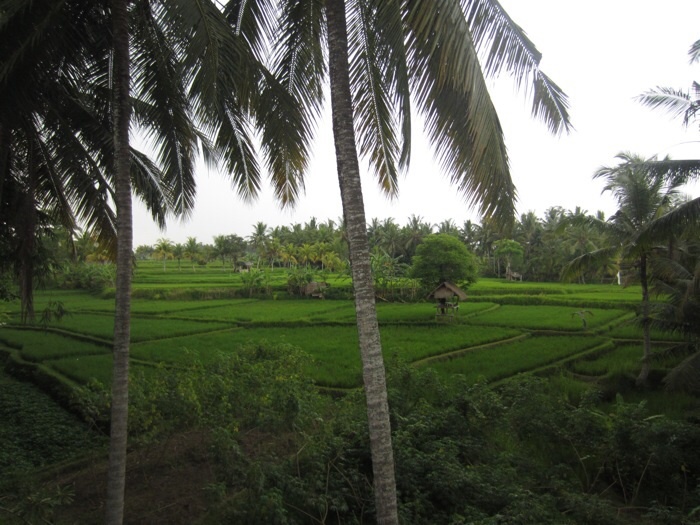 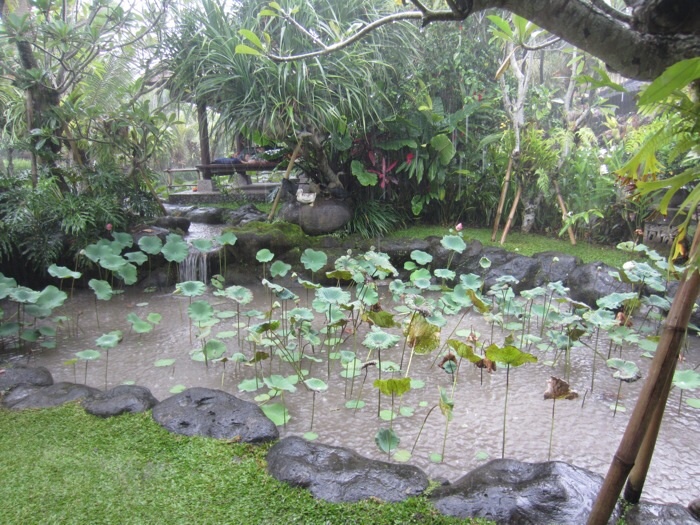 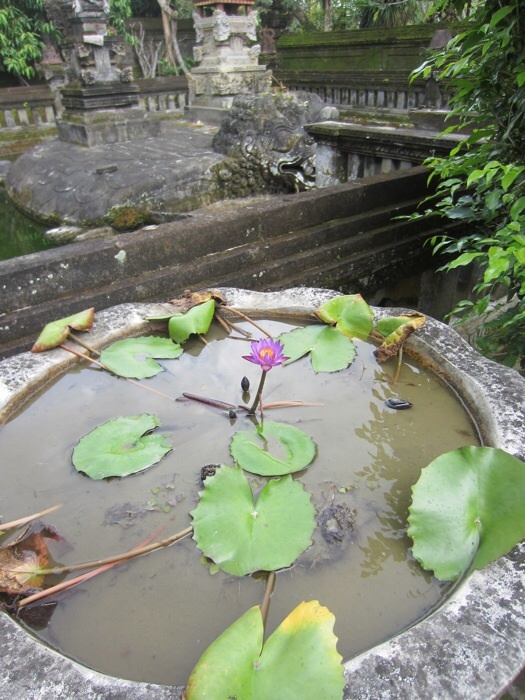 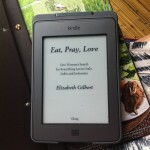 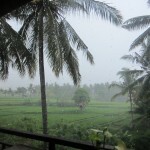 I had to read it while in Bali – and loved it!